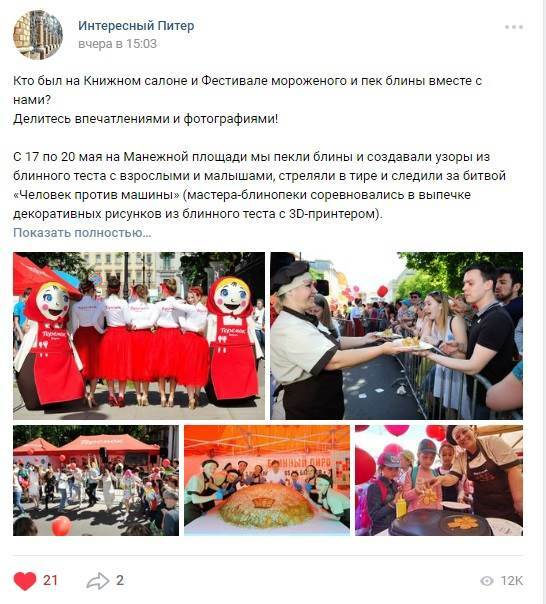 Attracting the attention of the target audience to the activities of "Teremok" at the city events "Book Salon" and "Ice Cream Festival". 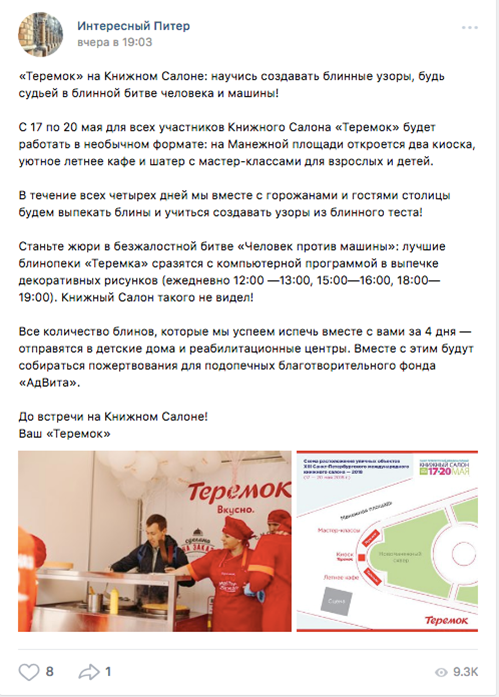 Activity: “Teremok” activities at the "Book fair"
Next to Novo-Manezh Square was organized a tent with master classes as well as 2 “Teremok” kiosks and a summer cafe. 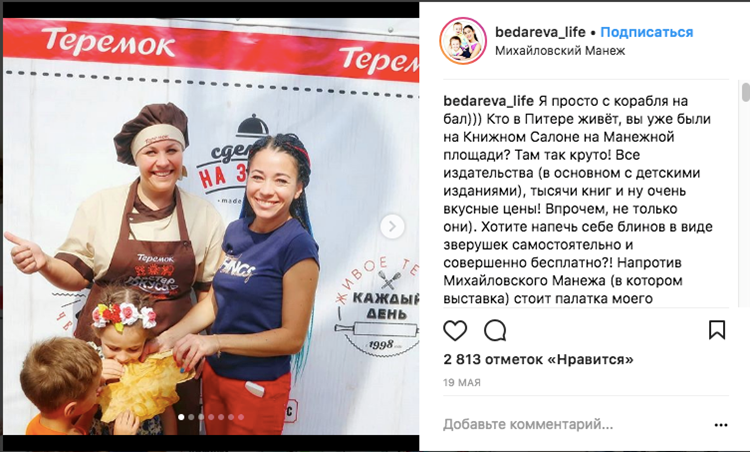 • Baking workshops for adults and children. • Total coverage: >124,000 views. • Total coverage - 4.5 thousand likes and 115 comments. 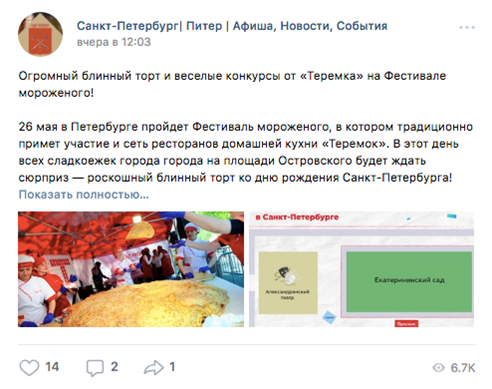 Information occasion: "Teremok" activities at the "Ice Cream Festival"
• Performance on the stage: dance, jokes / competitions near the “Teremok” tent, karaoke. • Overall coverage: <124,650 views.